Within Preno you can adjust your rates for different dates and introduce special rates (like for family & friends). Head over to Rates from the top navigation bar. This will take you to a page with all of your rate plans, split out by room type. Select which room type you want the rate applied to. It will be applied to all of the rooms associated with that room type. If you want to charge a different rate for an individual room in a room type, try applying a custom rate when you create a booking or consider if it is a different room type. Once you know what room type you want the new rate to apply to, find it on the page and click Add Another Rate. From here, you'll be able to give the new rate a name and set the base rate. 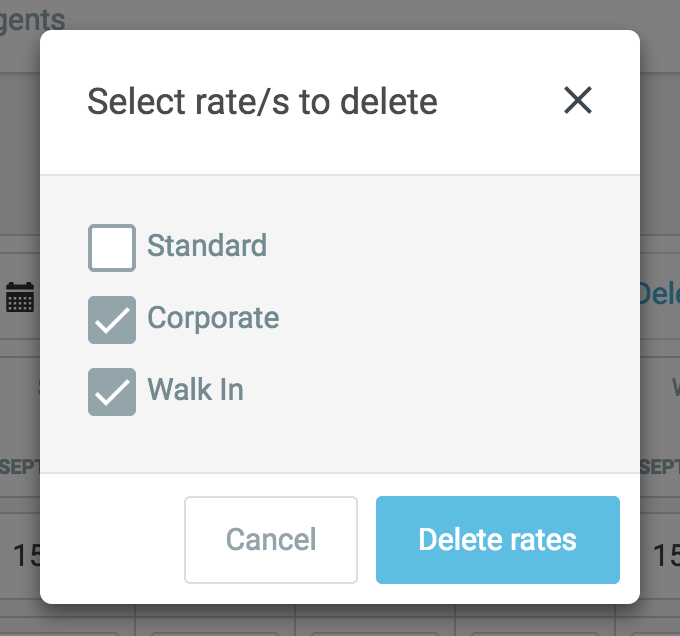 The new rate you've created here will appear as an option in the Rate drop-down list when you create a new booking. If you'd like to map your new rate plan to your channel manager, please get in touch with our team to organise this. 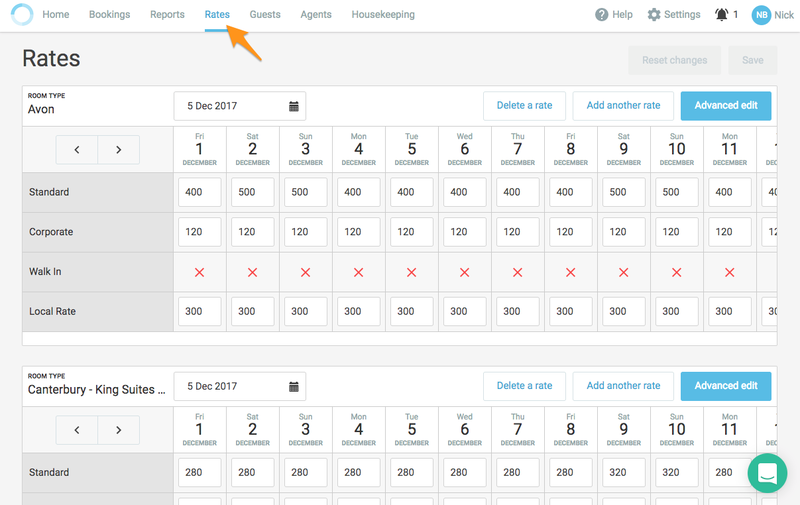 Find the room type that you'd like to delete the rate from, and then click Delete a Rate. A pop-up will show you what rates you've already set up. You can click more than one rate, and click Delete rates when you're done. They'll be permanently deleted, and the only way to get them back is to add them again. Any of your existing bookings that use that deleted rate will be changed to Custom rate. You'll need to edit their booking again if you want to assign a different rate. These rates only impact your direct bookings. Deleted rates in Preno won't delete them in your channel manager.